My friend Stephen makes the most amazing candles. 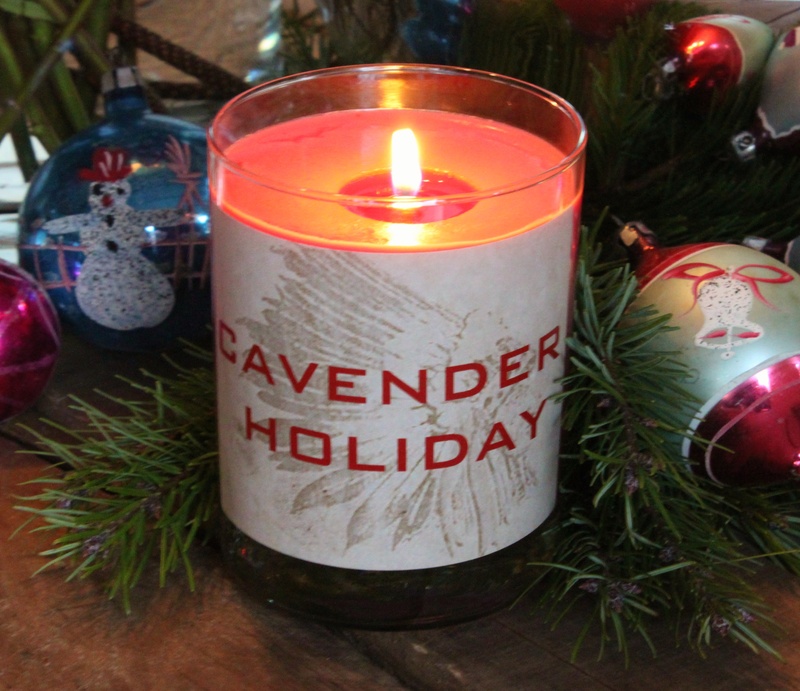 He upcycles bits of leftover candles, that his family and friends give him, and melts them into layers of color. For years we’ve begged him to sell them. But he says that he only makes them for himself and gifts. If it became a career, there wouldn’t be any fun left in it. Check out these beauties that we made for gifts this year. Wanna make your own? It’s much easier than you may think. 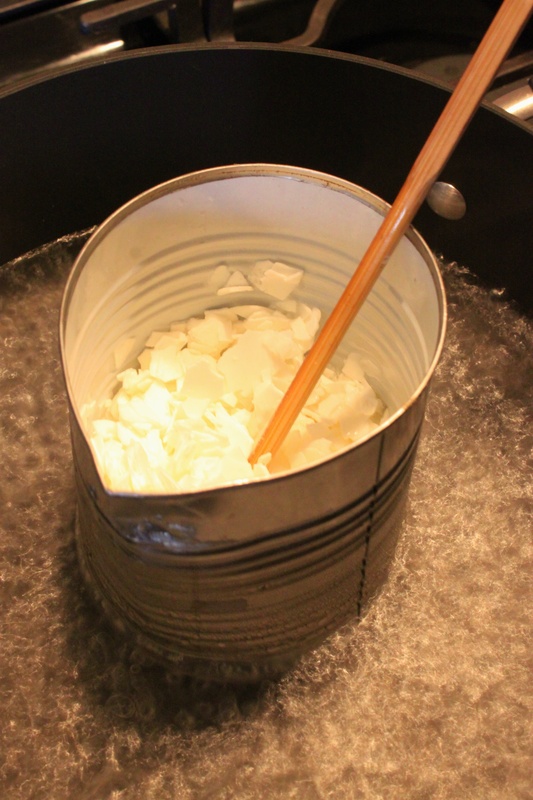 Melting the wax chips is really pretty easy. I melt them in a tin can with a spout that I formed with pliers. With the flame on high heat, and an old pot filled with a couple of inches of water, I use a chopstick to stir until everything is completely melted. The wax chips melt down pretty fast, so I keep adding them and stirring until my melted wax is about and inch from the top of the can. When it’s completely melted, it’s time for the wax color. The lines on the color bar denote where to slice for about a pound of wax. I chopped it a little finer to speed up the melting process. 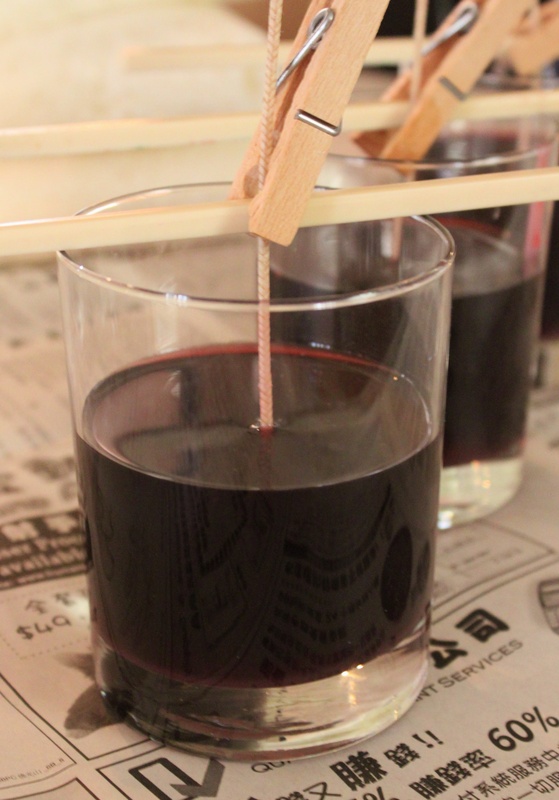 Just that small amount makes the white wax a deep, deep burgundy red. 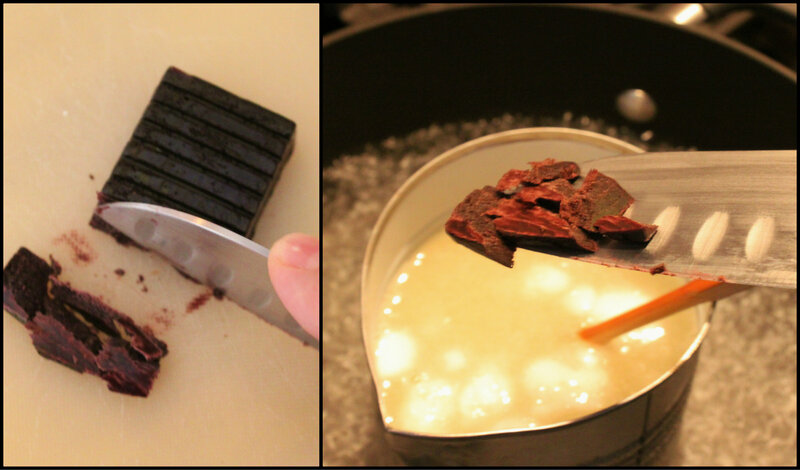 I remove the melted wax from the heat and stir in the fragrance oils. 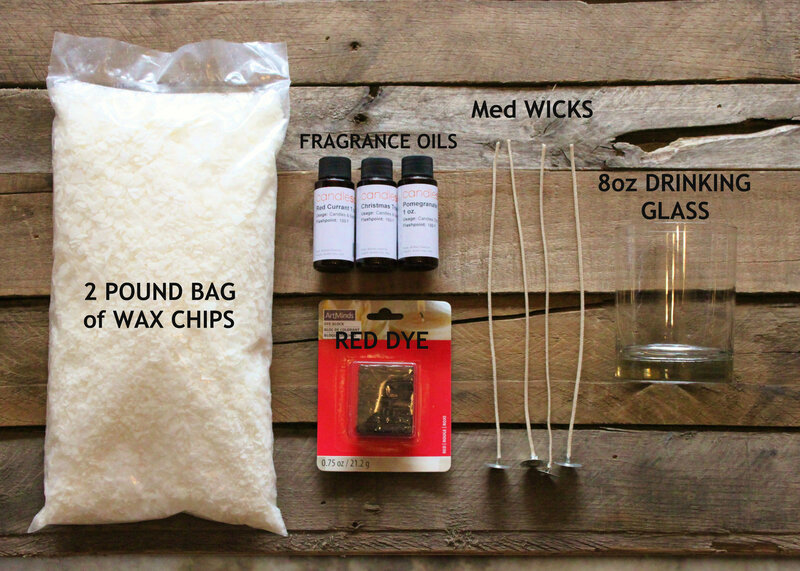 Never mix in the oils while the wax is still on the stove or all the scent will dissolve. 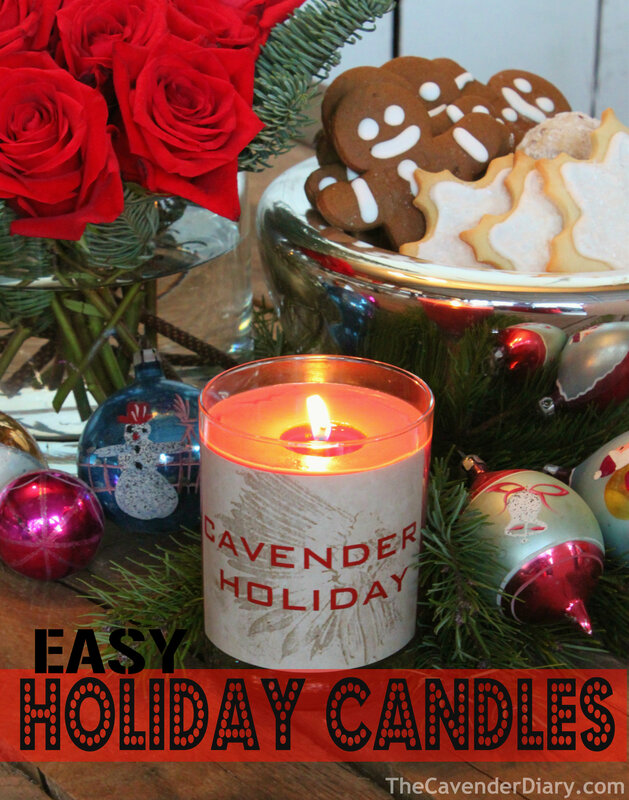 I found our fragrances online at CandleScience.com. About 2 bucks a bottle. 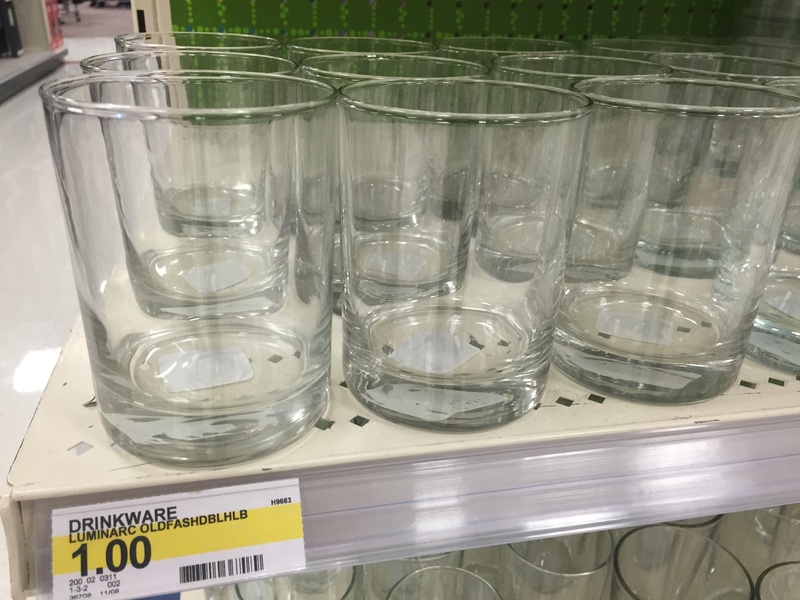 So for a quick fix……we used 8oz drinking glasses. Found a dozen at a thrift store for 25 cents each……and wouldn’t ya know it, Target sells the same thing for a buck. 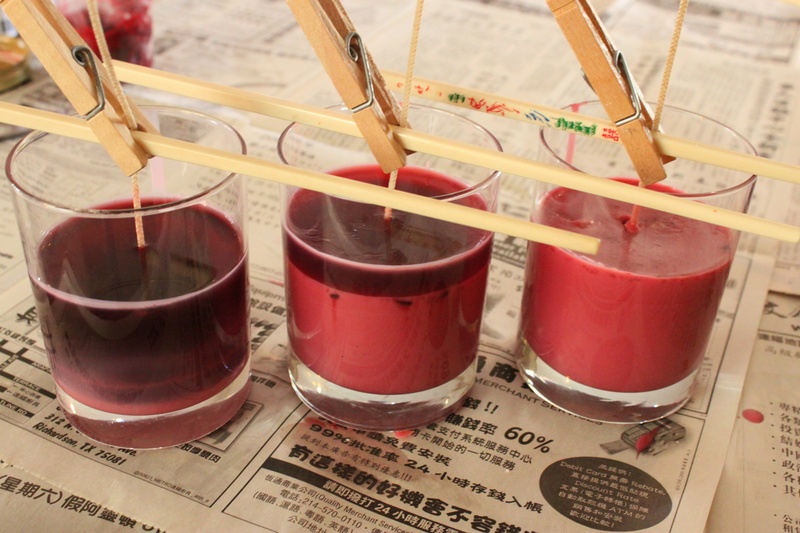 Before I pour in the wax, I positioned a medium wick in the center of each glass held in place with a chopstick, laid across the glass, and a clothes pin clipping the 2 together. Looks like a half of a glass of red wine with a wick. Wax will settle as it cools, so I only fill them about half way at first. After about an hour I add a second layer of wax. 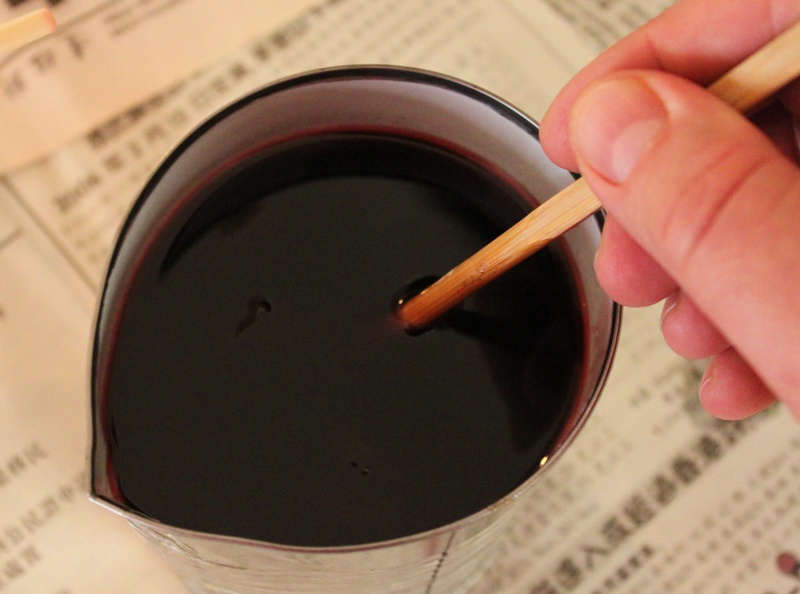 As the wax cools, the color lightened from a deep wine to a deep pink. Live and learn. This is the first time I’ve ever used the colors…next time I’ll add more. For labels, I went to Vistaprint.com. just like last year when we made flavored vodka. Wrap them around the glass. 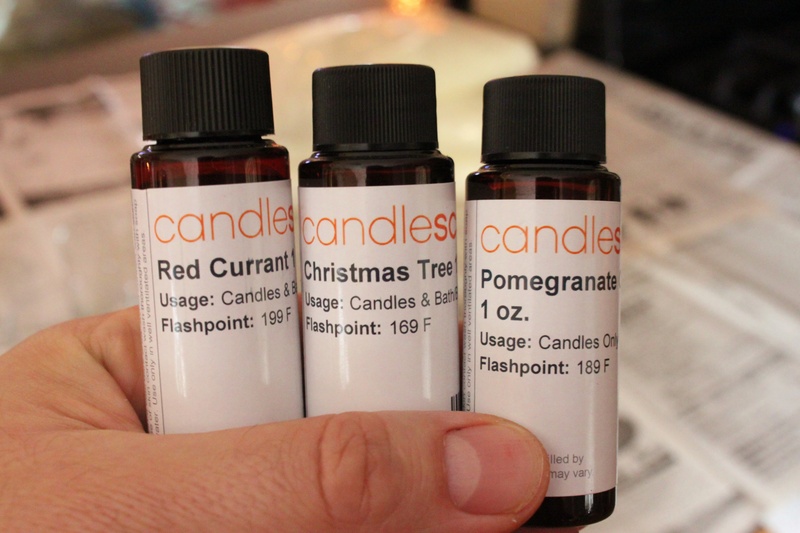 They smell like a sweet, fruity holiday punch. Told y’all they were easy to make. Ah mazing as always! 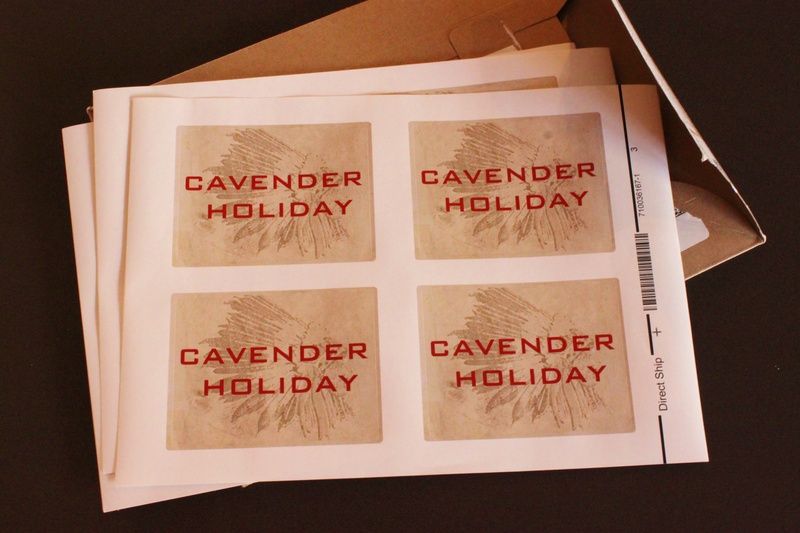 I love the idea of using Vistaprint for the labels too…I’m gonna do this next year! Thanks for your brilliance and wonderful instructions! I’ll bet there’s a cheaper way than Vistaprint, but with my limited PC skills……its’ the easiest. What a great idea. And yes, it does look easy. Thanks for sharing!! Happy New Year back at ya Jeff!!!! And yeah, they are simple. I used to make candles. But then , one day ma tress caught on fire. I think about your dress catching on fire EVERY time I make candles. i may just do this to as a cool down from all the holiday merriment! Love your scent selections! I might add more pine next time, but overall……pretty happy with them. They smell just like our house at Christmas. Some candles are about 60 bucks each now……Tried to keep ours just under 4. It’s so easy…Go on, give it a shoot! Did this only with milk cartons when I taught arts & crafts to moms & kids at a YWCA day camp. My first job and in many ways the best. Lots of fun. OOOH Yeah!!! I remember making them in milk cartons….40-ish years ago….Tons of fun….